London-born artist Chris Bracey worked with neon and lights for thirty years. His father, a neon sign-maker for fairgrounds, arcades, and the like, taught Bracey the trade at an early age. 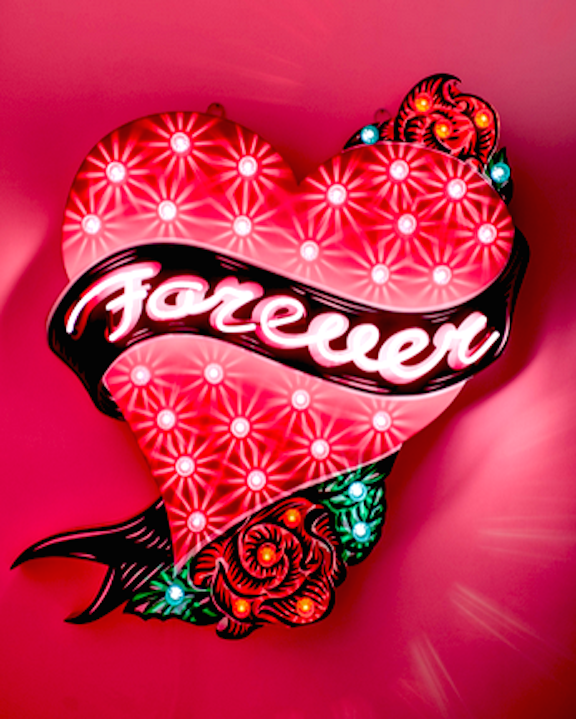 Bracey salvaged lights from fairgrounds, film props, and vintage signs to re-purpose them into Contemporary Pop sculptures that illuminate and conjure a sense of wonder, nostalgia and glamor. Having made his mark in the Soho district in London, Bracey’s works have also been exhibited in the UK and the US. His works are in public collections, and have been featured prominently in films such as Batman, Kubrick’s Eyes Wide Shut and the Dylan Thomas biopic.